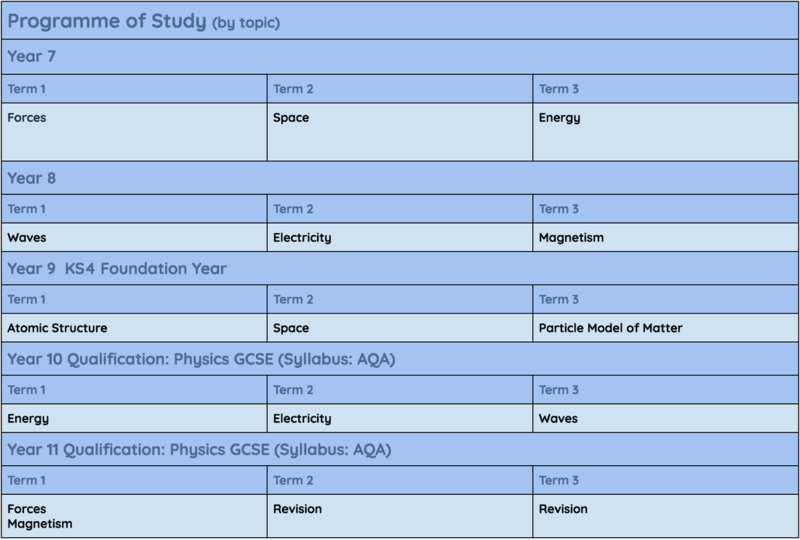 The Science curriculum area is located in Block 2: QUESTION. 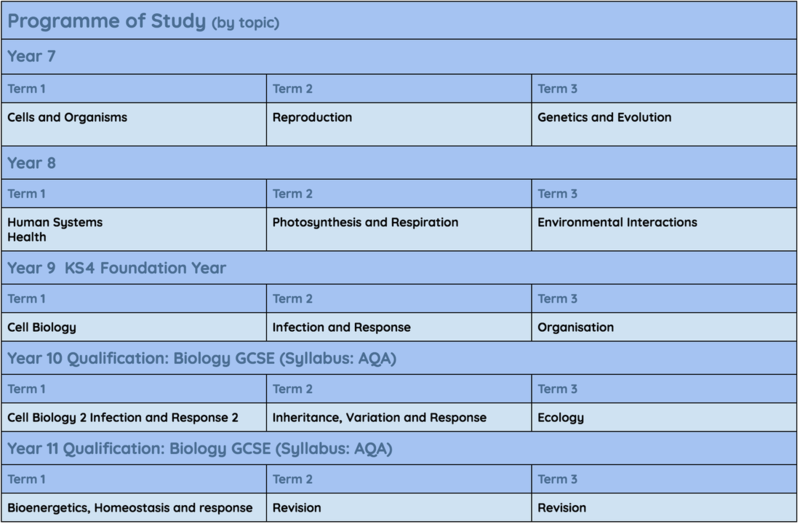 Biology forms part of the core science curriculum at KS3 and 4. It is offered as an A level at Post 16. Chemistry forms part of the core science curriculum at KS3 and 4. It is offered as an A level at Post 16.  Physics forms part of the core science curriculum at KS3 and 4. It is offered as an A level at Post 16.